Australia « What Happened to the Portcullis? The Australian Broadcast Company (ABC) has been told IBM looks increasingly unlikely to hit its October 31 deadline and there are growing fears in the Department of Immigration and Border Protection that the risk of a system failure is rising, as the busy Christmas holidays loom and a long-running industrial dispute remains unresolved. An IT failure could have serious national security implications as the mainframe will manage Australia’s border controls, including red flagging terror suspects attempting to enter or leave the country. “This is common to all major system changes in which the protection of operational capability and security protections remains the overarching priority,” the statement said. The concerns about the enterprise-wide mainframe contract come in the wake of the high profile woes of another federal agency. The Australian Bureau of Statistics was embarrassed by a census-night shutdown, which Prime Minister Malcolm Turnbull blamed on IBM. The company is also currently embroiled in a Canadian payroll scandal, where tens of thousands of public servants have been underpaid, overpaid or not paid at all. And that echoes the billion-dollar health payroll debacle in Queensland, after which the State Government banned its agencies from signing contracts with IBM. A Rand Corporation review of the merger between Immigration and Customs that said there was “an absence of a solid plan” for executing the integration. Before Customs and Immigration merged in 2015, two companies had been delivering IT services — IBM for Customs; and CSC, another US information technology giant, for Immigration. CSC lost the bid for the combined tender and was told in February that its contract would be terminated 20 months early, with the new finish date set at October 31, this year. That upped the ante on transferring enormous amounts of information between CSC-managed and IBM-managed data centres. As that deadline approaches, fears have grown within the department that IBM is not ready and that the system might fail. There have been meetings between IBM and officials as they war game solutions, which might include IBM hiring CSC’s workforce. The total value through to 2019 of the mainframe contract is $509 million, and it is understood that the department does not have any more money to bolster the transition and is struggling to find the staff it needs within its own ranks to handle the change. It is just one of many contracts IBM has with the Federal Government. The department’s statement in response to the ABC’s questions also said it “has a robust risk management framework in place to address any potential risks that may arise from a large scale change to border systems”. 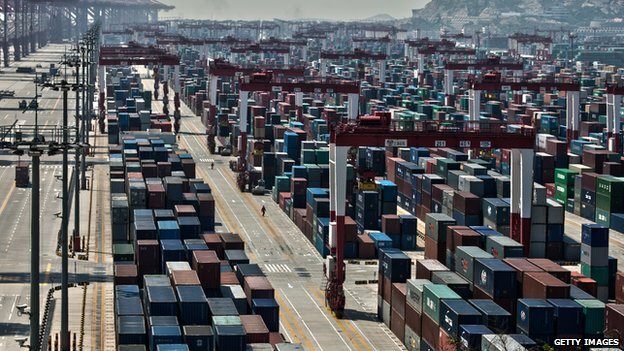 A new customs program aimed at bringing Australia into line with other major trading nations could substantially cut costs when exporting to Asia. 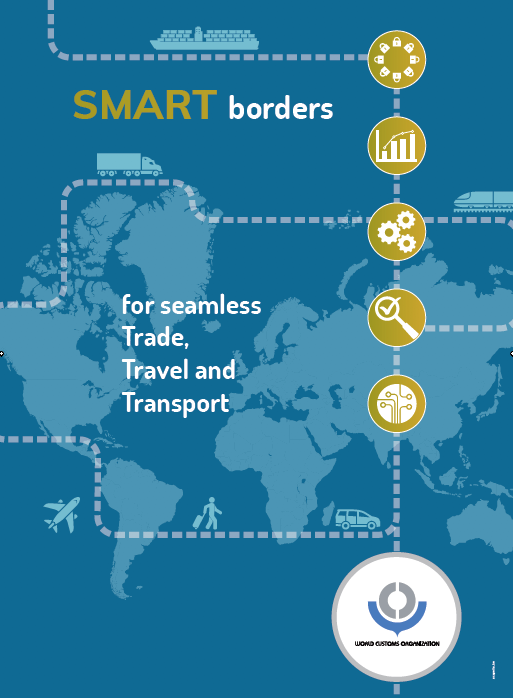 The Department of Immigration and Border Protection (DIPB) believes that the benefits to the Australian economy of this streamlined export process could be worth up to $1.5 billion for every one per cent increase in efficiency of transport and logistics supply chains. The pilot for the Australian Trusted Trader (ATT) program launched this month will eventually allow accredited export businesses to gain streamlined customs and security clearance in countries that have a mutual recognition agreement with Australia. Similar programs have already been adopted by more than 58 international jurisdictions – including China, India, Japan, Singapore, Taiwan and South Korea – since being introduced by the World Customs Organisation (WCO) in 2005. Known generally as Authorised Economic Operator (AEO) schemes, they provide a framework of standards for trading partners in recognising each other’s customs and security regimes. 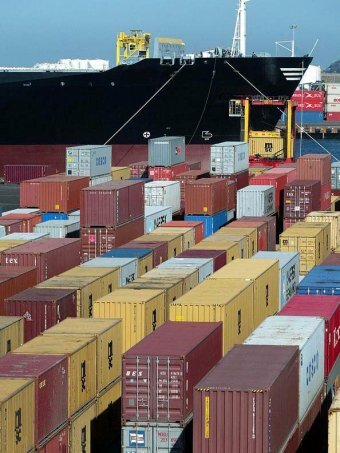 According to the Centre for Customs and Excise Studies (CCES) at Charles Stuart University, the goods of exporters who are accredited to the New Zealand AEO scheme are 3.5 times less likely to be inspected or held up on arrival in the US. Professor David Widdowson, head of school at CCES, and a leading advocate and advisor on the introduction of the ATT, says that accreditation to an AEO is often an imperative for many international supply chains. “When exporters send goods overseas and they get held up, there’s basically two ways that countries are dealing with them,” he said. “There those that come from a known secure supply chain – such those where a mutual AEO agreement is in place – and they’re treated as low-risk; and then there’s the rest, which are treated as high-risk. “Without being part of an AEO or trusted trader agreement, Australian exporters are more often likely to fall into the latter category. “In some jurisdictions it can be very difficult to be accepted onto an AEO scheme as an importer, so big multinationals often actively look for partners and suppliers who are already accredited to a scheme in their own country – and won’t deal with anyone who isn’t. They don’t want to run the risk of their non-accredited parts of their supply chain compromising their status on the scheme. The aims of the ATT include expedited border clearance, reduced or priority inspections and priority access to trade services. The DIPB will also explore the possibilities for duty deferral and streamlined reporting arrangements. Accredited trusted traders are to be assigned an account manager within the DIPB, as a single point of contact to assist with customs and export issues across all federal departments. To apply to enter the program, Australian exporters and supply-chain businesses – including freight-forwarders, brokers and logistics firms – first need to obtain a self-assessment questionnaire from DIPB. The information submitted by the business is then audited by the DIPB to ensure that the necessary security systems and procedures are in place, before accreditation can be given. There is no licence or application fee for the program, and Prof Widdowson expects the process to take “a few weeks if it’s a major company or it could be a few days if it’s a medium-sized company”. The pilot phase will be completed in this current financial year, and only four companies will be taking part initially: Boeing Aerostructures Australia, Devondale Murray Goulburn, Mondelez Australia and Techwool Trading. Teresa Conolan, assistant secretary of the Trusted Trader and Industry Branch at the DIPB, said more companies would be included in the pilot as it progresses. “We’re hoping to have around 40 companies over the 12 months in the pilot, across a range of business sectors, so we can actually test the processes and make sure they are not too burdensome,” she said. Conolan added that preliminary discussions with some countries were already underway, though negotiations on agreements were unlikely to begin until the ATT was fully launched next July. She said Australia’s key trading partners would be the priority, but expected the negotiations and implementation of agreements with some of them to take a further year. The rollout of the pilot program follows years of pressure from the Australian business community to embrace AEO, after initial reluctance by the Australian Customs and Border Protection Service (ACBPS). Following an article by The Australian Financial Review on March 20, 2013, which flagged Australia’s non-participation, business leaders sponsored a research study, undertaken by the CCES, which found that the scheme could be highly beneficial. Business groups began to lobby the federal government, by which time the ACBPS had reversed its attitude and agreed to consider implementing an Australian scheme. Global pharmaceutical companies paid tax of just $85 million in Australia on revenues of more than $8 billion, including $3.5bn from taxpayer-subsidised drugs, Labor senator Sam Dastyari says. “What is so extraordinary is that you’ve had companies that have been able to arrange their affairs to be able to drive down their revenue to such an extent that their taxable income is simply one per cent of the revenue that they have,” Senator Dastyari said. Senator Dastyari addressed media during a break at a senate inquiry into corporate tax avoidance in Sydney that is hearing from nine of the biggest drug companies operating in Australia. “The question before us today was ‘Is this a genuine representation of how profitable these companies have been?’,” Senator Dastyari said. Senator Christine Milne, who is also on the senate committee conducting the inquiry, said Johnson and Johnson’s vice president of global taxation had given extraordinary evidence that the company had a profit formula that the Australian subsidiary was required to meet. “Then they work out their tax affairs so that they move their profits offshore and they maximise their costs here,” Senator Milne told journalists. “And the extraordinary thing is in the negotiation with the government on the pharmaceutical benefits scheme they ask what the market will bear in terms of the cost of those drugs but they don’t reveal what they actually pay for those drugs from their head office. 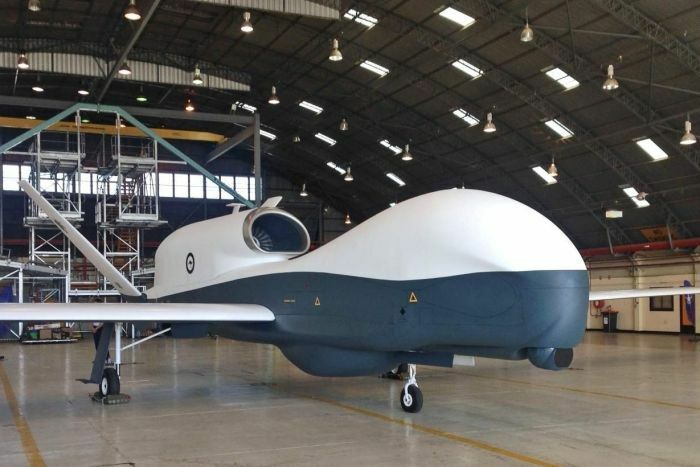 Australia today announced it will buy unmanned surveillance drones from the US to protect its borders and commercial interests. The fleet, to be based in Adelaide, would provide the defence force “with unprecedented maritime surveillance capabilities”, PM Tony Abbott said. The drones would also be used to protect energy resources, he added. The drones, which are still being tested by the US navy, can remain airborne for up to 33 hours. The number of drones to be purchased is yet to be determined. “We do need to have a strong defence – national security is as important as economic security when it comes to the good government of our country,” Abbott said. “Given that Australia has responsibility for something like 11% of the world’s oceans, it’s very important that we’ve got a very effective maritime surveillance capability.” The MQ-4C Triton drones, which are unmanned aerial vehicles used for surveillance, can cruise at altitudes up to 55,000 feet. The vehicle’s size is comparable to a small aircraft with a wingspan of 40 metres (131 feet). Cancer charities and health experts were expecting a bill to be introduced last week that would ban branded cigarette packaging, following a ban introduced in Australia last December. The plain packaging idea comes from Australia, the country where it was first tried out. Cigarettes there have to be in a drab olive-coloured packaging, and the brand name is in a uniform typeface. The packets are also adorned with graphic images of the effects of lung cancer. At least one health minister had been briefing that the bill would be in the Queen’s speech. But the bill was apparently put on hold at the last minute with the government saying it would be a distraction from its main legislative priorities. It has emerged that senior Department of Health officials held four key meetings with the industry’s leading players in January and February, when at least one of the tobacco giants spelled out to the government that its plan would result in thousands of jobs going abroad. 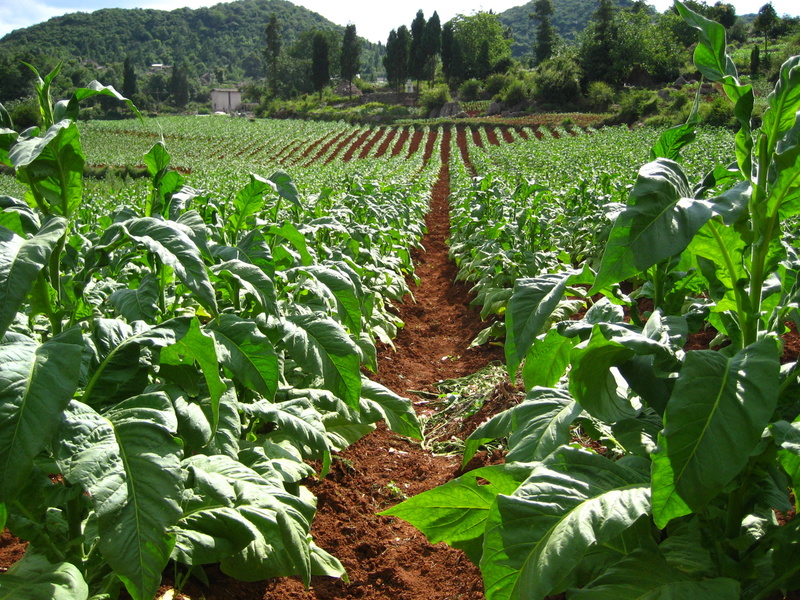 Department of Health minutes released last week reveal that Imperial Tobacco, British American Tobacco (BAT), Philip Morris International and Japan Tobacco International were each invited to make representations to the government, in which they attacked the plan and its impact on the UK economy. A tobacco giant, Imperial, also outlined how its packaging research and development department supported small and medium-sized enterprises in the UK and argued that standard packs would “result in some of these being put out of business”. It added that the plan would boost the illicit trade in cigarettes, which already costs the Treasury £3bn in unpaid duty and VAT a year. And it noted that 70,000 UK jobs rely on the tobacco supply chain, implying some of these would be threatened if the illicit market continued to grow. 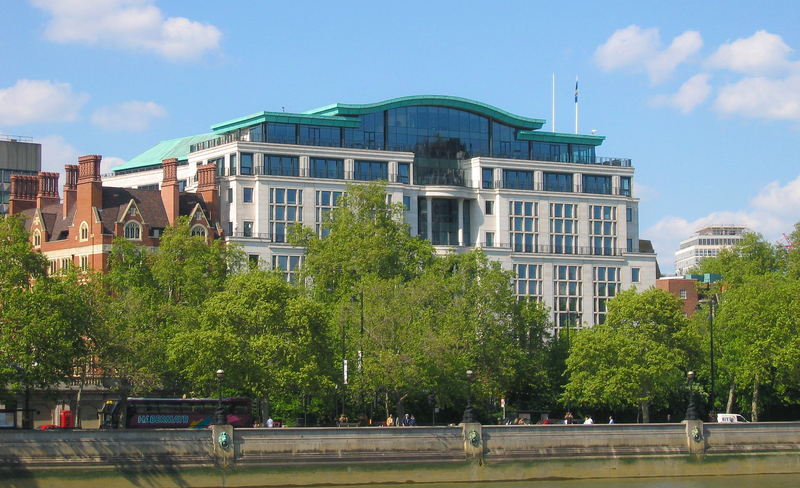 When asked to hand over its assessment of the impact of the plan, Imperial refused, citing commercial sensitivity. The decision to delay the introduction of plain packs is a major success for the tobacco lobby, which has run a ferocious campaign against the move. Cigarette makers fear that the loss of their branding will deprive them of their most powerful marketing weapon. The industry has backed a series of front campaign groups to make it appear that there is widespread opposition to the plan, a practice known in lobbying jargon as “astroturfing”. Many of the ideas were imported from Australia, where the tobacco giants fought a bitter but ultimately unsuccessful campaign to resist plain packs. Much of the Australian campaign was masterminded by the lobbying firm Crosby Textor, whose co-founder Lynton Crosby is spearheading the Tories’ 2015 election bid. Crosby was federal director of the Liberal party in Australia when it accepted tobacco money. Crosby Textor in Australia was paid a retainer from BAT during the campaign against plain packs. Some anti-smoking campaigners are now questioning whether the decision to drop the plain packs bill was as a result of shifting allegiances at Westminster. Corrupt customs officials have stolen – and possibly sold – seized goods earmarked for destruction, exposing ”extremely haphazard” governance within the agency charged with protecting Australia’s borders. Files from Customs’ internal affairs department also suggest the organisation had no policy to ensure its favoured gun dealers were actually licensed to sell the firearms it had ordered. Fairfax has obtained the files after a two-year freedom of information battle. The documents reveal an agency overwhelmed by the threat of organised crime, but they also expose several serious management failures in the organisation’s senior ranks. On Saturday, Fairfax Media reported that internal inquiries into Customs staff led to adverse findings in about two-thirds of 700 cases between 2007 and 2010. In one case, an officer was caught in June 2009 removing cigarettes marked for destruction from a detained goods facility. He was fined $1500, but the whistleblower had told investigators ”others may be involved and quantities could be much higher”. Internal affairs went on to identify the problem as a ”systemic issue”. The final reports recommended new standard operating protocols for all Customs storage facilities. Several officers may have faced disciplinary proceedings as a result of the inquiry, the files suggest. At one point, Customs investigators feared poor control of seized goods extended to far more dangerous goods, after a February 2009 audit of the seized goods facility in Queensland reported that more than 16,000 rounds of ammunition ”with a variety of associated equipment” had gone missing. But Customs now says this was just another case of poor management, after major accounting errors were identified in the audit. Australian courts this week threw out the bid by tobacco conglomerates to block government from introducing plain packaging for cigarettes. Tobacco product distributors operating in Namibia have been banking on a victory in the Australian courts to strengthen their arguments against similar plans by the Namibian government. Namibia Gazetted the Tobacco Products Control Act of 2010 that introduced plain packaging and ban the use of words such ‘mild’ or ‘light’ on cigarette boxes or any other tobacco products sold in Namibia. The world’s biggest and the Namibian market leader in tobacco products, British American Tobacco (BAT) has been fighting the Act with serious threats to take the government to court if it dared to implement the Act. BAT has been citing the Australian court case as an example of how far it is prepared to go to fight the Namibian government over what it says is tantamount to expropriation of its trademarks properties. BAT also says plain packaging takes away its trade rights to freely communicate to consumers the nature of their lawful products on offer. The Australian government’s victory now exposes BAT, along with Japan’s Tobacco International (JTI) and Imperial Tobacco to similar laws across the world. Britain, Canada, New Zealand, China, France, India, South Africa, Norway and Uruguay are already considering implementing the plain packaging measures. Southern Africa Customs Union (SACU) member states intend to adopt the generic Tobacco Products Control Act of South Africa that is in line with the World Health Organisation (WHO)’s pressure on the use of tobacco products, through the Framework Convention on Tobacco Control. BAT has been saying the proposed branding would exacerbate the illegal tobacco trade in Namibia where about 225 000 cigarettes are illegally sold every day. BAT has a market share of about 85 percent of the Namibian tobacco market, selling just over 330 million cigarettes every year in the country. Namibians are said to smoke 75 000 packs of 20 cigarettes each per day or an equivalent of 1.5 million cigarettes each day. The court ruling in Australia makes Australia the first country in the world where cigarettes are sold in drab, olive coloured packets with graphic health warnings and no logos. The Tobacco Products Control Act of 2010 also mandates the establishment of a fund from levies on sales of tobacco and other sources.The fund would partly use the money to pay for treatment of tobacco-related illnesses. The new proposed packaging features graphic pictures depicting the ill health associated with smoking. These range from stained teeth, throat cancer to damaged lungs and breast cancer with appropriate warnings underneath the picture. If the new legislation is implemented fully there would be a total blackout on advertising, promotion and any public relations activities around tobacco products or companies whose names are directly associated with tobacco products. Source: New Era, Namibia. So what does the awarding of the Square Kilometre Array (SKA) and Customs have in common? Sweet blow all as far as I was concerned until a colleague of mine, Roux Raath, pointed out one of the criteria on which the award was made. Reading the actual report one realises this has more to do with the fact that six African countries will be involved and the cross border movements are foreseen to be complex in contrast to movements between Australia and NZ. Therefore, this has less to do with the South African Customs administration than the Southern African geographical environment. The report also refers to duty and tax structures and these issues should perhaps find a home with the DTI as customs does not dictate these. Nonetheless, the fact remains that certain issues have been raised and these should be considered when strategies are devised to support the SKA project. The SKA Site Advisory Committee (SSAC) reviewed the various customs systems and duty rates, the excise tax regimes and tax rates, and related issues such as import and export processes that will impact the SKA over its lifetime. A wide range of issues was considered since the SKA involves a large multinational investment of funds, materials, and services, including the provision of scientific and technical equipment, and personnel in various remote locations. The SSAC reviewed the issues presented by the two candidates, including details related to the six diverse South African member countries; cross-border coordination and logistical issues presented by the South African proposal; and the diverse customs, excise, and regulatory structures in the two candidate sites. The SSAC also considered the long-standing Australia–New Zealand Closer Economic Relationship Trade Agreement (ANZCERTA) free-trade and economic cooperation agreement (allowing for the free flow of goods, services, and people between the two countries) and the absence of overall free-trade agreements among the six members of the South African consortium. The SSAC also reviewed the customs, free-trade, economic, and business environments in Australia and New Zealand and considered the written confirmation from the Australian government that there will be no Goods and Services Tax (GST) payable by the SKA in Australia. On the factor of Customs & Excise, the SSAC awarded the following points for each of the contending consortia – 13.3 for ANZ and 6.7 for South Africa. To read the full report, download here!